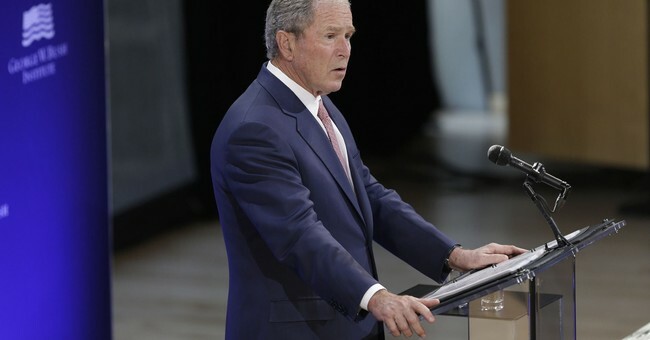 President Bush is facing fierce backlash from conservatives after he delivered a speech that has been interpreted as a direct attack on President Trump. The former Republican president never mentioned Trump's name, but journalists, political pundits and just about everyone with functioning eardrums understood the identity of the target. Listeners to my national radio show called Bush's remarks disgraceful and appalling and extremely disappointing. Personally, I'm puzzled -- because President Bush never publicly criticized President Obama -- ever. "You won't see me out there opining or criticizing my successor," Bush said in 2010. "I don't think it does any good. It's a hard job. 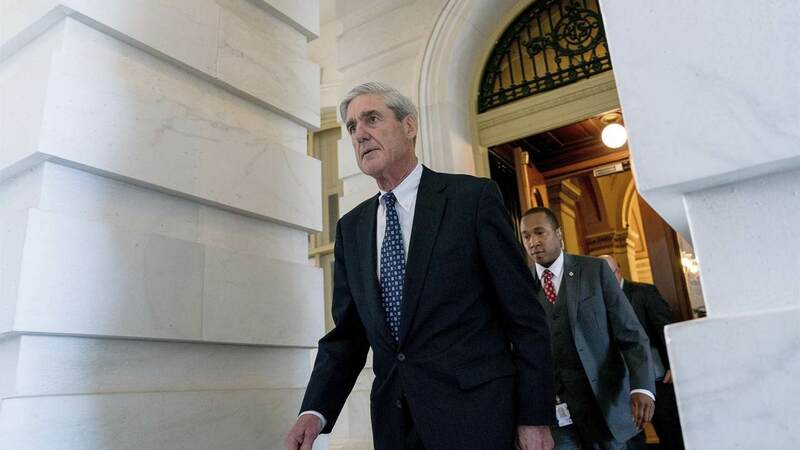 He's got plenty on his agenda," he said in 2013, defending his decision to remain silent about the Obama administration. "A former president doesn't need to make it any harder." And in 2014 Bush told Fox News Channel, "I don't think it's good for the country to have a former president undermine a current president; I think it's bad for the presidency for that matter." So why did he decide to unleash on President Trump? I would expect Obama to undermine Trump -- that's what he does -- he's a community organizer. It's in his nature - he's an agitator. But George W. Bush -- yeah -- well, his blindside against the president was mighty disappointing. I respected that man -- I knew he was a fake conservative - but he took care of our military -- he looked after the troops. He defended religious liberty. That speech he gave on the pile of rubble after 9-11 - one of the best speeches in modern presidential history. So now you understand the lay of the land - ladies and gentlemen. Establishment Republicans and Democrats on one side, We the People on the other. When Obama shoved Obamacare down our throats, Bush turned the other way. When Obama apologized for America on foreign soil, Bush was silent. When Obama declared a war on police officers - Bush offered nary a peep. When Obama waged war on religious liberty - Bush was AWOL. And when Barack Obama vowed to fundamentally transform America -- George W. Bush -- stood down. Mission Accomplished. So - maybe his speech yesterday in New York City -- was just Bush showing his true colors -- coming out of the closet as an Establishment Republican Swamp Thing.